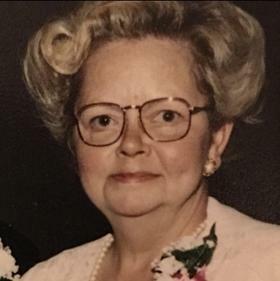 Mrs. Barbara Jean Blakeman, age 77, passed away Thursday, December 27, 2018. She was born in Chicago, IL on July 26, 1941 to Eugene & Olga (Ladvienka) Hudson and married William Blakeman on July 10, 1964. Mrs. Blakeman had been employed as the Assistant Program Director at the Muskegon Regional Center for 23 years until retiring in 1991. Barbara was an outstanding artist, loved to paint portraits in pastels, chalk, & charcoal. She had a strong love for animals, especially Persian cats & Great Danes. It was this love of Persian Cats that drove the entire family to travel to many states when the children were young, to show her prized Persians. Mrs Blakeman enjoyed college basketball and was an avid MSU basketball fan. Husband, William; sons, Jeffrey (Juliana) Blakeman, Joel Blakeman, Jon (Tammi) Blakeman, Jason (Gina) Blakeman; daughter, Jaime Christenson; grandchildren, Victor, Bill, Erin, Nate, Christian, Samantha, Katarina, Alison, Emily, Alyssa, Jacob, Jianna, D.J. ; great grandchildren, Ivan, Isaac, Clara, Liam; brother, Richard (Lynn) Hudson. She was preceded in death by her parents; brothers, James Hudson & Doug Hudson. MEMORIAL: St. Jude or a charity of choice.